To bring the initial nature to your house,no matter you are in which corner from the global. 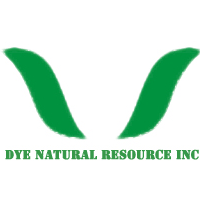 Dye Natural Resource Inc focus on health and beauty bio product material include natural plant,herb extract,Essential oils,natural food addictive ,API,colors . What we believe is that we will try the best to bring natural beautiful things, healthy source to every country,district,every family to make their life become better,healthier and more beautiful . The natural source can be used in medical,food industry and cosmetic industry or feed industry. Hunan Dye-Natural Resource Inc is a pharmaceutical industry which devotes itself to the developing, manufacturing, distribution of plant extract , pharm ingredients and intermediates and food addictive. Relying on scientific study and technology of international, our company has been establishing good technique cooperation with famous scientific research institutes and universities. Processing quite a number of experts who engage in researching and managing, further more, we employ a group of biological foreign experts to explore and research new products to guarantee the high quality of the products. Dnatural is renowned to be customer focused and quality oriented. Through its sharp market sense of customer needs and preferences, we have been producing more than 50 kinds of series products, plant extract such as birch extract, Eucommia extract., bitter almond extract,apple extract .Food addictive as d mannose,glutathione reduced powder,l carnosione etc.some cosmetic raw material as arbutin ,ceramide ,elastin etc. All of Dnatural's products have been exported to the markests of Europe, America, Japan and Southeast Asia and are widely applied to many fields including pharmaceutical, food, health care and personal care industries etc local and abroad. Dnatural 's company philosophy is "integrity, diligence, innovation, enterprising". Aiming to produce exquisite Botanical/Herbal/Plant extracts, bring the botanical extract with the most advanced biotechnology to make people much healthier. Welcome customers and partners all over the word to cooperate with us to create bright future constantly.